Ling Chen, Akifumi Mizutani, Tomonari Kasai, Ting Yan, Guoliang Jin, Arun Vaidyanath, Bishoy YA El-Aarag, Yixin Liu, Takayuki Kudoh, David S Salomon, Li Fu, Masaharu Seno. 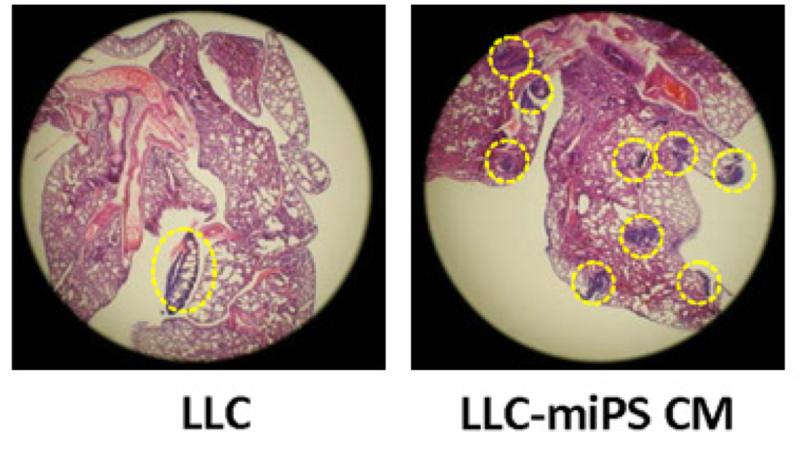 Mouse induced pluripotent stem cell microenvironment generates epithelial-mesenchymal transition in mouse Lewis lung cancer cells. Am J Cancer Res. 2014; 4(1): 80–88. 1) Chen L, Kasai T, Li Y, Sugii Y, Jin G, Okada M, Vaidyanath A, Mizutani A, Satoh A, Kudoh T, Hendrix MJ, Salomon DS, Fu L, Seno M. A model of cancer stem cells derived from mouse induced pluripotent stem cells. PLoS One, 2012, 7(4), e33544; (doi: 10.1371/journal.pone.0033544). 2) Shuichi Matsuda, Ting Yan, Akifumi Mizutani, Tatsuyuki Sota, Yuki Hiramoto, Marta Prieto-Vila, Ling Chen, Ayano Satoh, Takayuki Kudoh, Tomonari Kasai, Hiroshi Murakami, Li Fu, David S. Salomon and Masaharu Seno. Cancer stem cells maintain a hierarchy of differentiation by creating their niche. Article first published online: 9 DEC 2013, DOI: 10.1002/ijc.28648.